Missing half an hour to start the film, there was already a line that went around the Teatro Heredia in Cartagena, all waiting to see the latest film by Colombian Alejandro Landes, Monos, about a group of armed teenagers and members of a rebel organization that they must take care of an American abductee. Many people stayed outside for the first time this impressive film was shown in Colombia. A day later, having already passed the excitement of the first screening, we spoke with Landes about his film and about the FICCI. 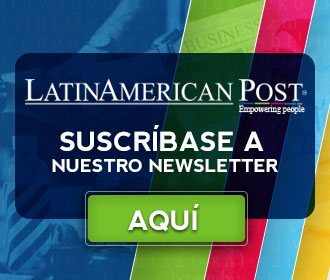 LatinAmerican Post: How did you come to conceive the project in relation to the issue of violence? Alejandro Landes: Well obviously being Colombian and from a family in Medellin, because the violence has been close, listening to my grandparents 'Medellín, then my parents', obviously a very strong change. Later I grew out of Colombia partly because of that, so I think everyone knows it, but I think that is also what is happening in the world where the conflict today the lines are blurred like there is a haze of war (...). You ask a US citizen what side he represents, a large percentage would not know what to tell you because this is not the second world war, it is not like "you are with the Germans or against." So, precisely, Colombia has been a country where there were so many conflicts, so many battle fronts, so I think that was also the inspiration to approach the conflict, not through ideology but through the human, people feel much more comfortable with binary answers like you is a man or a woman, you are from the left or from the right, that is the way it is. LP: Were you trying to give a sort of voice to violence in a more human, universal sense than to situate yourself historically in the tradition, for example, violence in Colombia? AL : Well, precisely, the conflict in Colombia certainly serves as a source of inspiration for the film, but so do other armed conflicts, including the same costume design, production design, we look at rebel groups in Crimea, in Chechnya, Middle East, here, and also old people from the 60s and 70s, to be able to design the tents, the costumes. Actually we were looking for something that works on its own, the film can exist in its own vacuum, you do not have to know the Colombian conflict to live the movie, but if you know it, I think you experience another movie, because the film does dialogue with the historical conjuncture at this time. So at the end in the helicopter, he asks: "well, what do we do with the NN", which I think is the big question nowadays, or at least one important question to ask because if we look at this it is not the first peace process that the country is experiencing. So for me also to be able to dialogue with those ghosts of previous failures is what also inspired me to make it timeless, it is a film that sometimes seems post-apocalyptic. LP: How was the project born? Was he born with a specific image, with a situation? AL: I think he was born starting from the idea of living a moment of high conflict, which is adolescence. The body is changing you, in turn, the beautiful, grotesque, the voice, you want to be alone, but truly, you want to belong, you have this idea of who you are, but you clash with who you want to be. Then that conflict and navigate it through a major conflict that is this war that we fictitious, or true, these two conflicts are opposed. That's why I found it interesting to navigate that landscape, not in the postal sense, but in the sense of emotions, to cross it through adolescence that is something that also unites us, we all live that moment in life, of great passions, of great joys, of great loves and heartbreaks. LP: The expectation that we had about the movie was huge. The theater was filled, lots of people were left outside, and then the reception at the end: people shouting and applauding. What do you think about that reception here in Colombia? AL: The movie is going for six weeks and the awards at Sundance, the critics, everything that has been said, beautiful, but the movie does not end until it reaches its main audience, its Colombian audience, then the film was shown on his land was great, really beautiful, I was very happy. I liked that although the film talks about things that are very sensitive, very delicate, and usually people approach this subject with a lot of prejudice, they know where I am standing, I am pro or against, but like the movie works in a more subversive way and I feel that people lived a movie, an experience, right? It's like the metaphor worked (...) I think there were two things I wanted to avoid, the ideological, the pamphlet, the binary , because they are people, not ideas. AL: I tell you the truth, it has been so overwhelming about Monkeys that I have not been able to live the movies as I would have liked, there is a lot of good that I want to see, I love being here and had a great experience with Porfirio, he took all the prizes here, and it was very nice, the public welcomed it in a very special way. Actually, I do believe that I do not like to divide the cinema a lot because for me it is important that the cinema that transmits emotions is what unites us, I like to be all together, I do not like being separated in many categories. I feel, yes, Colombian, but Latin American, but Latin American, but of the world, and I feel that people like to talk and I understand that Colombian cinema, Latin American cinema, but I believe that change for passports, for labels, for football games, but the cinema is nice when, I do not know, I think it goes further, when it breaks boundaries, and for me that is important. Translated from "FICCI: entrevista con Alejandro Landes, director de Monos"